The first album of new material from the classic lineup of Information Society (Kurt, Paul and James) in over 20 years. After playing some festival dates in Summer, 2013 the band began to discuss working on a new album and the result, _hello world is the offspring. _hello world is rife with songs that have one foot firmly planted in their past and one foot confidently resting in the present; it is filled with classic INSOC dance floor fodder like "Get Back", soaring epics like "Jonestown", and cinematic textures like "Creatures of Light and Darkness". 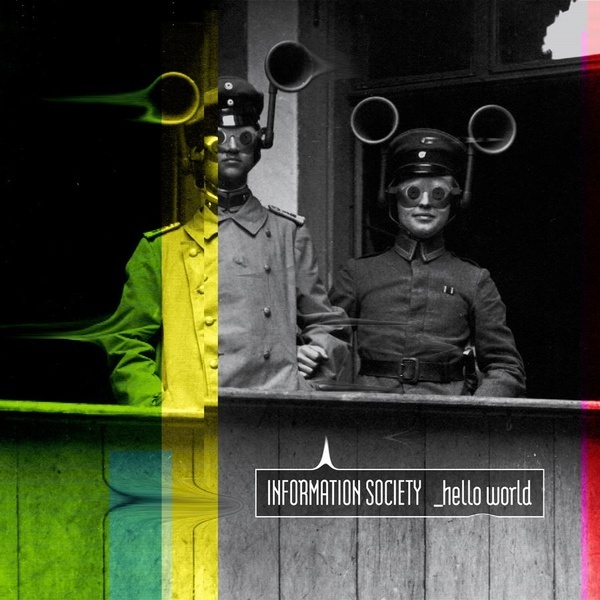 Embracing the many faces of synthetic music while remaining organically Information Society, _hello world isn't as much a rebirth of INSOC as it is a nuclear-powered version that ups the ante. The first single, "Land of the Blind," is a swirling, propulsive track that hearkens back to their signature sound yet infuses it with state of the art production values. Longtime InSoc hero Gerald V. Casale adds his vocals in a duet with Kurt on their cover of ""Beautiful World"" which adds a modern splash to the Devo classic. The group stormed the club charts in the mid '80s with their Freestyle classic "Running". Inspired by the worldwide response to the single, the group seized the opportunity and moved to New York to record their major label debut, Information Society, for Tommy Boy/Reprise. Producer Fred Maher was brought in, fresh from his work on Kraftwerk's Electric Café album, and helped Robb & co. craft a tight pop sound. Initial buzz for the first single "What's On Your Mind (Pure Energy)" was intense, and proved to be accurate; by the time the group got to its first in-store appearance, two days after the record's release, the album was sold out. 2014 is proving to be quite a year for the band. With history's tendency to repeat itself, it appears INSOC are poised for another takeover. _Hello World, indeed.